A 2017 meta-analysis published in the British Journal of Psychiatry indicates that psychosocial interventions were linked to reduced relapse rates, better adherence to medication, and other benefits in people with bipolar disorder. The meta-analysis by researcher Mary Lou Chatterton and colleagues evaluated data from 41 studies with a total of 3,119 participants. 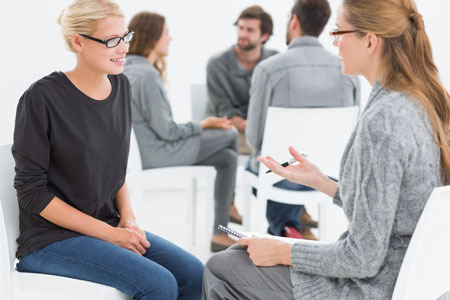 The studies examined psychosocial interventions such as cognitive-behavioral therapy, psychoeducation, and family-focused therapy compared to treatment as usual. Chatterton and colleagues found that interventions that targeted family members who act as caregivers reduced manic and depressive relapse rates. Combined psychoeducation and cognitive-behavioral therapy was more successful than any other intervention, and had a large effect in reducing symptoms of mania. This combination also improved general functioning. Psychoeducation alone and in combination with cognitive behavioral therapy reduced medication non-adherence. Unfortunately, no intervention reduced depressive symptoms. In a study by researcher Stuart Eisendrath and colleagues, people with treatment-resistant unipolar depression responded better to an intervention that combined mindfulness training with cognitive therapy than to one that included exercise, nutrition counseling, and music therapy. The 173 participants had failed to respond to at least two different antidepressant medications. During the study period, all participants were taking an antidepressant, but none were receiving other types of therapy. After eight weeks, the mindfulness-based cognitive therapy (MBCT) group showed greater improvement in their depression symptoms than the exercise and nutrition group. Of the MBCT group, 29.58% had a large reduction in symptoms, while 17.19% of the comparison group showed a similarly large reduction in symptoms. A subgroup of the participants also received functional magnetic resonance imaging (fMRI) as part of the study. While completing a task related to emotional working memory, the MBCT group showed enhanced activation of the dorsal lateral prefrontal cortex (to levels seen in non-depressed people). This area is related to executive control of depression and memory functions. The MBCT group also showed reduced activation of the ventral lateral prefrontal cortex compared to the comparison group. Members of the MBCT whose depression symptoms had improved also showed better regulation of the amygdala during the task compared to the exercise and nutrition group. The research was presented at the 2016 meeting of the American Psychiatric Association. A recent study clarified how cognitive behavioral therapy improves symptoms of depression and post-traumatic stress disorder (PTSD). The participants were 62 adult women. 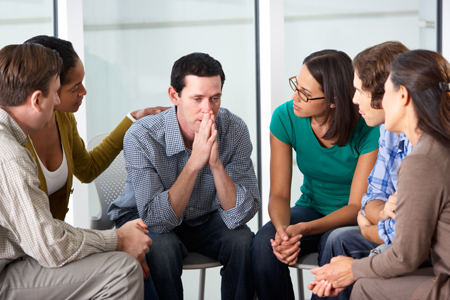 One group had depression, one had PTSD, and the third was made up of healthy volunteers. 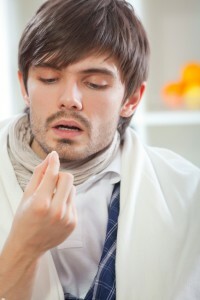 None were taking medication at the time of the study. The researchers, led by Yvette Shelive, used functional magnetic resonance imaging (fMRI) to analyze participants’ amygdala connectivity. At the start of the study, participants with depression or PTSD showed diminished connectivity between the amygdala and brain areas related to cognitive control, the process by which the brain can vary behavior and how it processes information in the moment based on current goals. The lack of connectivity reflected the severity of the participants’ depression. Twelve weeks of cognitive behavioral therapy improved mood and connectivity between the amygdala and these control regions, including the dorsolateral prefrontal cortex and the inferior frontal cortex. These regions also allow for executive functioning, which includes planning, implementation, and focus. Children of parents with bipolar disorder are prone to anxiety and emotional dysregulation, but treating these symptoms with antidepressants can provoke symptoms of mania. Thus, non-pharmacological treatements for anxiety and depression are needed. A recent study by Melissa DelBello found that twelve weeks of mindfulness-based cognitive therapy improved symptoms of anxiety and mood dysregulation in 20 youth with a bipolar parent. DelBello used functional magnetic resonance imaging (fMRI) to observe that the therapy increased activation of brain structures related to emotion and sensing. Amygdala activation differed between those with anxiety and those with mood dysregulation, suggesting that the therapy’s effect was on regions that modulate the amygdala, including prefrontal and insular regions, rather than on the amygdala itself. Adolescents whose parents have a history of depression are at greater risk for depression themselves. A new study suggests that a cognitive-behavioral prevention program aimed at these teens can reduce depression rates compared to the usual care. The study, by David A. Brent and colleagues in the journal JAMA Psychiatry, included 316 participants aged 13–17, each of whom had a parent with a current or prior depression. Half of the participants participated in the cognitive-behavioral prevention program in addition to usual care initiated by their families. The program consisted of 8 weeks of 90-minute group sessions focused on developing positive thinking habits and improving problem solving, followed by six monthly sessions. The training was based on the Adolescents Coping with Depression program described in a June 2009 JAMA article by Garber et al. Importantly, the benefit of the prevention program was only seen among adolescents whose parents were not depressed at the time of enrollment in the study, underscoring the importance of treating parents in order to keep the whole family healthy. Benefits of the prevention program included reductions in onset of depression and days depressed, and improvement in interpersonal and academic competence. Brent and colleagues say that the study shows that it is possible to prevent depression, and this can have long-term developmental consequences. They encourage focusing on the entire family’s mental health treatment. While the main benefits came early, Brent suggests that booster sessions for teens who begin to show symptoms of depression might refresh the benefits of the prevention program at a later time. Editor’s Note: This study has enormous health implications as depression in adolescents tends to recur and is associated with a more difficult course than depression beginning in adulthood. Preventing depressions would theoretically have positive consequences for both psychiatric and physical health, as depression is associated with increased risk of suicide and decreased longevity from increases in cardiovascular disease. Researcher Joan Luby recently reported that children with prepubescent onset of depression have decreased hippocampal volume in adolescence, so it is possible that preventing depression may have positive implications for brain volume and function. People with chronic fatigue syndrome, or myalgic encephalomyelitis, as it has also been called, suffer from extreme exhaustion and unrefreshing sleep. The condition has been considered mysterious, but new research is clarifying its symptoms and leading to more useful treatments. In 2015, a committee convened by the Institute of Medicine at the National Academy of Sciences decided to change the name of the condition to systemic exertion intolerance disease (SEID) to better reflect its symptoms and reduce stigma around the illness. In recent years it had been determined that exercise regimens and cognitive behavioral therapy helped up to 60% of patients. Some new small studies show great results when patients are treated with anti-viral medications such as valacyclovir (Valtrex). Researcher Theodore Henderson reports that he has seen response rates as high as 85% in adults and 92% in adolescents. Researchers now believe that some patients diagnosed with depression may actually have SEID. Symptoms like fatigue, exertion-induced malaise, brain fog, and impaired academic performance could be the result of the body’s reaction to a virus. While electroconvulsive therapy (ECT) is very effective treating acute depression, especially among patients who have not responded to antidepressants, relapse rates following ECT are high. Researchers have been exploring treatments that may extend the effectiveness of ECT and reduce relapses, including antidepressant medication and continuation ECT. A new study by Eva-Lotta Brakemeier and colleagues in the journal Biological Psychiatry finds that cognitive-behavioral therapy combined with medication was most effective at sustaining response to ECT. In the study, 60 patients who responded well to three-times-per-week right unilateral ultra-brief ECT then were prescribed antidepressant medication following current guidelines for ECT followup. Of these patients, one-third were randomly assigned to receive the medications only. Another third were randomly assigned to receive the medications and continuation ECT, and the final third were randomly assigned to receive medication and participate in 15 weeks of cognitive-behavioral therapy in a group setting. Each group was observed at six months, and then at one year. The group who received medication and cognitive behavioral therapy had significantly higher response rates than the other groups at both follow-up evaluations. After the initial treatment with ECT, 70% of the patients had responded and 47% had achieved remission. Following the six months of continuation treatment, 77% of the group that received medication and cognitive behavioral therapy responded, while only 40% of the group receiving medication and continuation ECT responded, and 44% of those receiving medication alone responded. After one year (six months following the end of treatment), response rates were 65% for those who had received medication and therapy, 28% for those who had received medication and ECT, and 33% for those who had received medication alone. Editor’s Note: These results are striking for several reasons. As has been found in most studies, continuation ECT is not very effective at sustaining remission. Cognitive behavioral therapy with medication beats the other options hands-down. These results are in accord with others that show that cognitive behavioral therapy also helps prevent relapses in patients who responded well to medications. The take-home message is that people who respond well to antidepressant medication or ECT would do well to add cognitive behavioral therapy to their other preventive treatments. The current study did not replicate parameters for continuation ECT that were successful in a study by Axel Nordenskjöld and colleagues in the Journal of ECT in 2013. Nordenskjöld used weekly ECT for six weeks and every two weeks thereafter, for a total of 29 ECT treatments in one year, and found this more intense regimen was more effective at preventing relapse than medication alone. A study published online in the journal Psychiatric Services comparing a specialty clinic that provides medication, family education, cognitive-behavioral therapy (CBT), and case management to improve employment and educational outcomes with treatment as usual for people in a first episode of psychosis found that the specialty treatment was associated with fewer and shorter hospital stays and better vocational engagement during one year of follow-up. Most participants were referred to the study from inpatient psychiatric units. Those randomly assigned to receive treatment as usual typically did so in outpatient treatment settings. 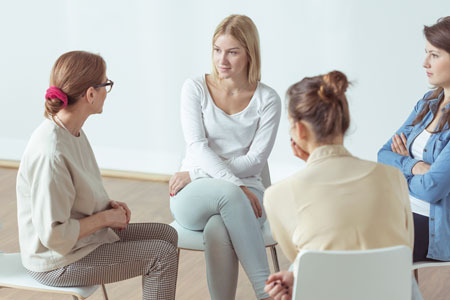 Those randomly assigned to the specialty treatment group joined the Specialized Treatment Early in Psychosis (STEP) program at the Connecticut Mental Health Center, where they could choose from any of the available interventions. Other studies have found that comprehensive intervention encompassing psychoeducation, family therapy and other services can reduce psychotic symptoms. The authors of this study, Vinod H. Srihari and colleagues, concluded that a US public-sector model of early intervention in psychotic illness could be both feasible and effective. Editor’s Note: In the British Journal of Psychiatry in 2013, Kessing et al. demonstrated even more dramatic and persistent benefits (for at least 6 years) of 2 years of specialty clinic care versus treatment as usual for patients with a first hospitalization for mania (many of whom were also psychotic). Together these two articles indicate the extreme importance of getting off to a good start in the management of major psychiatric illness. Such specialty programs are desperately needed for better management of childhood-onset mania. The incidence of irritable bowel disease has been increasing in recent years as obesity has increased. At a symposium at the 2014 meeting of the American Academy of Child and Adolescent Psychiatry, researcher Eva Szigethy discussed depression in inflammatory bowel disease, which most often involves Crohn’s disease or ulcerative colitis. These conditions are associated with increased levels of inflammatory markers such as interleukin 1 (IL-1), interleukin 6 (IL-6), and TNF alpha, and these in turn induce the acute phase reactive protein called c-reactive protein (CRP). The interleukins peak in the first 12 hours after an inflammatory challenge and CRP peaks at 48 hours and returns to normal at 120 hours. Il-6 is most closely associated with the somatic symptoms of inflammation, including depression, fatigue, loss of appetite, and decreased sleep, while TNF alpha is associated with non-somatic symptoms, such as irritability. Szigethy found that in a randomized trial of cognitive behavior therapy versus supportive therapy in children with inflammatory bowel disease, inflammatory activity decreased significantly with cognitive behavioral therapy, and the therapy particularly helped the somatic symptoms of fatigue, sleep disorder, anhedonia (loss of interest in activities once enjoyed), appetite suppression, and mood dysregulation. In contrast, when antidepressants are given to those with inflammatory bowel disease, the drugs are not particularly helpful for these somatic symptoms. Inflammatory bowel diseases are treated with steroids in 21% of patients and with a genetically engineered drug called infliximab in 30%. Adding cognitive behavioral therapy to the regimen decreases CRP and red cell sedimentation rate, an associated measure of inflammation. The discussant of the symposium on inflammation, Frank Lotrich, described how inflammation alters sleep, and this appeared to interact with genetic risk of illness. For example, those with certain genetic variations (the short SS allele of the serotonin transporter and the val-66-met allele of proBDNF) were most likely to experience sleep disturbance following treatment with interferon gamma, a treatment that fights the virus that causes Hepatitis C, creating inflammation in the process. Interferon gamma causes depression in about one-third of the patients who take it. Lotrich pointed out that low levels of omega-3 fatty acids are associated with increased irritability and anger, and this is related to the presence of the A allele of TNF alpha. TNF alpha is also closely linked with irritability and anger, suggesting the possible benefits of omega-3 fatty acid supplementation to target irritability and anger more selectively. This would be consistent with the data of researcher Mary A. Fristad. Il-6 is closely associated with the somatic symptoms of depression, particularly poor sleep, which is itself associated with increases in depression. This is consistent with inflammation being a marker of poor response to antidepressants; Lotrich noted that the selective serotonin reuptake inhibitors (SSRIs), which help depression, are far more effective against the non-somatic aspects of depression and less effective against low energy, decreased interest, and fatigue. However, extrapolating from the data on inflammatory bowel disease, cognitive behavioral therapy may be most helpful on these somatic symptoms. Bipolar illness affects 4.5% of the US population. According to researcher Kathleen Merikangas, 1.0% have bipolar I disorder, 1.1% have bipolar II disorder, and the remainder have subthreshold symptoms. Mark Frye, Chairman of the Department of Psychiatry at the Mayo Clinic, gave a lecture on antidepressants in bipolar illness at the 2014 meeting of the American Psychiatric Association. The newest data from meta-analyses indicate that traditional antidepressants that are effective in unipolar depression are not effective in bipolar depression. Some patient groups, especially those with very early onset depression and mixed depression, are at increased risk of switching into mania and making a suicide attempt while taking antidepressants. Unipolar depressed patients with a genetic variation that produces a short form of the serotonin transporter (5HT-LPRs/s) are at increased risk for depression in adulthood following a history of childhood adversity, and tend to respond less well to antidepressants. Frye found that 5HT-LPRs/s is weakly associated with switching into mania when antidepressants are given to patients with bipolar depression. At the same symposium, researcher Mike Gitlin reviewed data on combination therapy, which is rapidly becoming the norm, indicating that in most circumstances, it is superior to monotherapy. Researcher David Miklowitz reviewed the impressive data on the superiority of most forms of targeted psychotherapy or psychoeducation compared to treatment as usual for bipolar depression. He noted his own finding that Family Focused Therapy (FFT) not only is effective in adolescents and adults with bipolar disorder, but also in reducing illness and dysfunction in those with prodromal disorders (such as depression, cyclothymia, and bipolar not otherwise specified) in situations where there is a family history of bipolar disorder. Recognition of prodromal symptoms and development of treatment strategies for them. Recognition and management of stress and triggers using cognitive restructuring. Development of a relapse prevention plan and rehearsal of what to do. Encouragement of treatment adherence with an eye to a good future. Enhancement of emotional self-regulation skills, including cognitive restructuring. Improvement of family relationships and communication. Education about substance abuse avoidance and treatment for that and other comorbidities. Many of these are also key components of group psychoeducation, cognitive-behavioral therapy, and interpersonal and social rhythms therapy, and all of these are effective in treating and preventing bipolar depression compared to treatment as usual. It is noteworthy that in the research of Francesc Colom, 90% of patients randomized to treatment as usual relapsed within 24 months, while psychoeducation was highly effective in preventing relapses over the next five years.